Open or closed? What is the one thing that your potential clients are going to check out when they are strutting past your salon? Yep, that’s right, your salon opening hours sign. Even if they are only considering a future appointment, pedestrians will casually take a peek at the opening hours sign. This is your perfect opportunity to catch their eye and make a truly memorable impression. There are a couple of ways that you can go about this: firstly, you could have a salon opening hours sign that is beautiful in design or attractive to the eye. Alternatively, you could always go the tongue-in-cheek route and try to make a lasting impression in the mind of a passer-by. The most important thing is that the person remembers your salon when they continue on their journey. Didn’t think there were so many different ways of playing with a salon opening hours sign, right? Well, what did you think? Would you consider any of these suitable for your business? 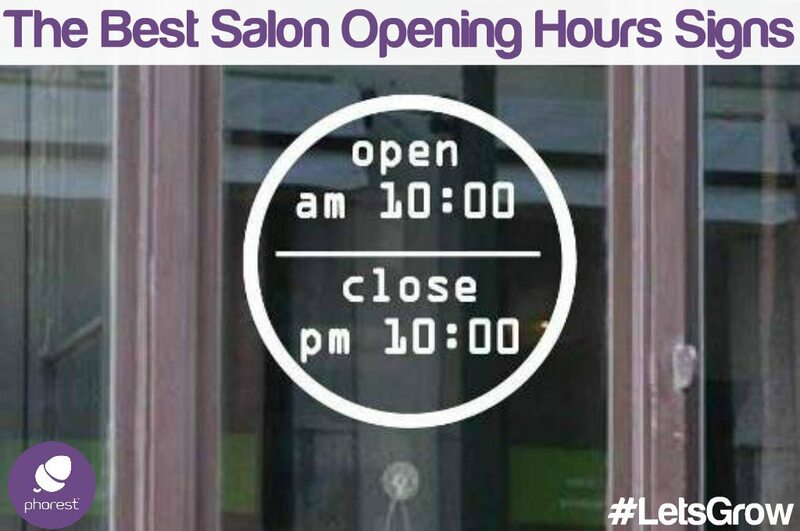 Do you prefer your salon opening hours sign to be a classy, sophisticated affair or perhaps something that people may take a photo of and share with their friends? Each type really does have its advantages and disadvantages. Maybe you have spotted another kind that you think is original, clever or downright absurd! We would love to check it out. Either drop it in the comments below or Tweet us at @ThePhorestWord. If you’re looking for some salon window display ideas, then check out our SlideShare article right here. Sales & MarketingAre Your Salon Gift Cards Really Working For You?